Ninety five years ago, on November 11, 1918, World War I largely came to an end. Though the Treaty of Versailles would officially conclude the war in June of 1919, November 11th became a day of remembrance for the all the heroes who served and are still serving today. 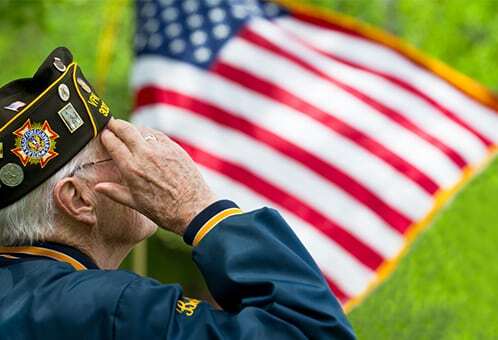 With nearly 25 million veterans from the wars America has fought, today we honor the heroes who gave our country their lives, showing their devotion to democracy. We must also remember that there are still heroes fighting every day for our freedom, and honor the duty of their service. Thank the veterans you know for the sacrifices they have made, and spend a little time today reflecting. Goldberg Law Group is very proud of our own servicemen, and we have a gallery of photos featuring some of our brave soldiers that you can look at here. To the men and women of our Armed Forces and to all of our veterans, know that you have our country’s gratitude on this day, and every day of the year.